Love it or hate it (I hate it), Google AMP is expanding faster than ever. 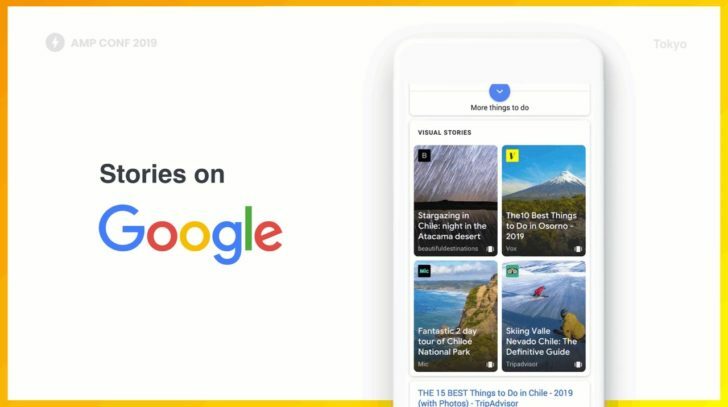 It’s no longer just an optimized way to make mobile web pages, as it now powers interactive content in Gmail. ‘AMP Stories,’ a way of creating interactive news stories, was announced over a year ago — and it’s about to roll out to everyone. Google announced at today’s AMP Conf event in Tokyo that AMP Stories will roll out soon to Google Search, appearing in a dedicated block in results. Stories will first be displayed for searches related to travel, with other categories to follow at a later date. AMP Stories don’t appear to be live on my devices yet, but it should roll out to everyone soon. Who doesn’t love reading stories one sentence at a time with distracting graphics?